After logging in to your account, click on the Create Request button. 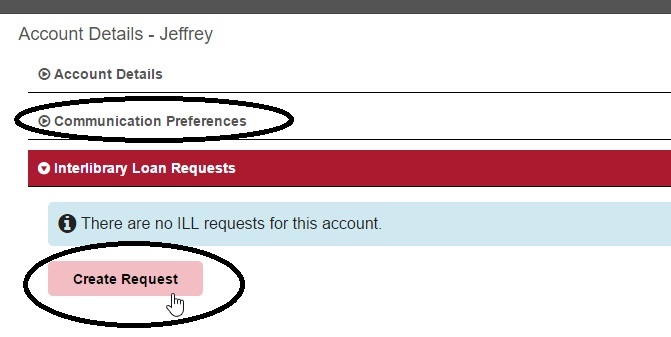 You should also click on Communication Preferences to update your contact information, which will allow you to receive text and/or email updates about the status of your interlibrary requests. Next select Article, Book, or Book Chapter. After completing the corresponding form, click Submit Request.